“We are very interested in achieving an agreement on relinquishing the cases for war crimes. Croatia has 1500 such cases against Serbs, and we only have 40 against Croatians. We are close to completing the final version of the text, and when elections are over, talks on withdrawing the lawsuit for genocide will commence”. Talks on withdrawing reciprocal international lawsuits between Croatia and Serbia for genocide will commence as soon as elections are over in Serbia, said Homen, the secretary of Serbian ministry of justice. The Serbian Evening News reported that Croatian and Serbian departments of Justice are currently conciliating the text of a bilateral agreement regarding relinquishment of war crimes lawsuits that are currently before the courts in Serbia and Croatia. Homen said that initialing of such a document is the main prerequisite for agreement to end the reciprocal proceedings before the International Court of Justice (ICJ) for genocide. 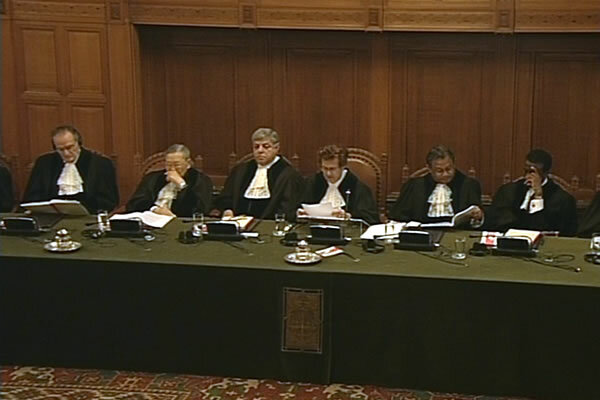 The main hearing for genocide in Croatia is expected to commence at the ICJ during the first half of 2013. In July 1999 Croatia filed a case for genocide against Serbia. The genocide as it occurred during the Serb aggression in Croatia 1991 – 1995, Croatian War of Independence. In 2008 ICJ ruled it has jurisdiction to hear the case. In 2010 Serbia filed a countersuit against Croatia. Croatia must file its additional reply to Serbia’s counter suit by 30 August 2012. Serbia’s countersuit contains material on Serbian-Croatian relations with accent on World War II and the killing of Serbs in the Jasenovac camp during that war. By extending the timeline addressed in this ICJ case to WWII Serbia seems to be looking at justifying or mitigating its main role in genocide in Croatia during 1991 – 1995. That is, telling the world: look what Croatians did to our people in 1941 – 1945! If Serbia’s countersuit is anything to go by, then it is plainly clear that Serbia has no intentions of admitting any wrongdoing, any genocidal rampage against Croatia, ever. Let’s hope that Croatia’s current government and the Opposition see this and that Croatia does not withdraw its genocide claim against Serbia in the ICJ. By withdrawing Croatia would give into Serbian intimidation when there is absolutely no reason for Croatia to feel guilty. Today’s Croatia, Croatia of 1991 – 1995, cannot be answerable for events that occurred in 1941, if not for any other reason then for the fact that 1941 Croatia was not a united political entity, but split into three major opposing and antagonistic factions: pro-Fascist, pro-Communist and neutral. Serbia’s unrelenting ways of painting the whole of Croatian nation as being anti-Serb are abominable, and inherent in its countersuit at the ICJ. Your comment above is so correct, so well said, so well written. I thank you again and again for your excellence in writing and keeping us abreast of all that happened and is still happening today with obvious thoughts towards the future of Croatia. Thank you and it is the truth and it must be maintained and fought for for the benefit of today’s and tomorrow’s wonderful Croatian nation. I think this is a starting point : “Today’s Croatia, Croatia of 1991 – 1995, cannot be answerable for events that occurred in 1941, if not for any other reason then for the fact that 1941 Croatia was not a united political entity, but split into three major opposing and antagonistic factions: pro-Fascist, pro-Communist and neutral”. It must be said, and said again and again, otherwise, there will be no end to the unfair and painful lies and generalisations we’ve been hearing for decades. A firm hand must be maintained to protect the goodness that Croatia is today. There’s simply no doubt that Croatia has been a terrible victim of Serbian led Yugoslav propaganda where Croatia has been vilified and made suffer as a whole just because a minority of its citizens went with the Nazi movement during world war II. Discrediting the whole of Croatia because of Jasenovac camp and some others is absolutely horrible. Multitudes of Croatians had nothing to do with it, yet they have been made to suffer a terrible reputation, and Serbia, who was and is well aware of the fact that majority of Croats did not go with the Ustashi movement in WWII, did absolutely nothing to help. 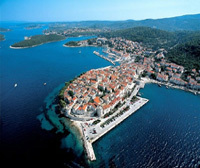 Now they expect Croatia to help them save face, why should Croatia do that. NO, NO, and NO. Croatia’s primary responsibility is towards its 1991-1995 victims of genocide and that genocide was planned and controlled from Belgrade. I hope your message is heard far and wide – many in Croatia think the same, it’s time to be strong and hold the forte of justice, not politics. Thank you on your comment, Rob. If anything Serbia (within Yugoslavia) poured oil onto the anti-Croatian propaganda fire after WWII and decades after. Let’s pray that Croatian politicians will have the strength to resist the political games from Belgrade and pursue its just course in getting Serbia to answer for its part in the horrid aggression against Croatia. That is the only way the many victims will rest in peace, humanity owes them that much, at least. What happened during WWII, happened, and Croatia has paid for it dearly. Serbia simply cannot be allowed to keep a straight face and venture into what seems like double jeopardy against Croatia at ICJ. Hello, Serbia, Croatia has already answered for the crimes at Jasenovac. Full stop. Let’s move on and deal with modern crimes like genocide against Croatia in 1991 – 1995. While it may be good to work on good relationships between Croatia and Serbia, withdrawing the case against Serbia for genocide at the ICJ is not a part of this. Why? Because justice must be done and good relationships are based on truth and resolutions. If Croatia fails to give its people closure, and that’s what’s going to happen if it withdraws the case against Serbia, then then bitterness and unrest shall linger and plague. Closure for the suffering will never be reached. That would be a shame for both countries and their future. Croatia has 1500 such cases against Serbs, and we only have 40 against Croatians.This comment alone proves who the real criminals are. I say ARE because that is just what the Serbs are.Serbia should not be forgiven for its crimes against our people nor should this have anything to do with our future relations with Serbia.Serbia should and must be held accountable so that the Croat people know that we are all of equal peoples. If anything other then this then Croats will always in our history remember what has been done to us as unfair and mistrust will always be common place between Serbia and Croatia. Do you think if Serbia did this to the Jews that they will be forgiven? I think not!Now as far as some wanting to forget about our relations to the U in ww2 that will never happen nor will ww2 ever be forgotten. You can bet the Jews of the world will make certain of that. Surely if we all forget about ww2 then the Jews and others will have no one to manipulate by complaining how much they suffered and how all the world owes them everything.All of the anti fascists are out there for one reason only and that is to make Croatia the guilty party for compensation in one way or another.You can bet that once the Serbian issue is settled that the Jews will come after Croatia next for land and monetary compensation like a bat out of hell. They have already started this quietly .We will always be made to be the bad people as long as we keep giving in. Who Do Croats go to for compensation for our history? It is time that the Croatian government stand up and loudly say we will not allow this to go on any more with the blame game.They owe that much to the Croatian people and for its own dignity and respect.As a Croat I make no apology for the U movement or any other movement. History is what it is. If the atrocities that occurred during the homeland war are forgiven with out compensation or justice then we must as Croats forget about the atrocities of ww2 as well.No justice or compensation for anyone regardless of who they are. I am really annoyed with our government spending their time on political speeches about fascists rather then focusing on compensation for families in Croatia and rebuilding our country with a strong hand. I see nothing wrong with being labeled a fascist democratic country if that’s what people want to recognize us for. After all that is exactly what America is today. The truth is that WWII Serbia exterminated 94% of Serbian Jews by mid-1942 and yet with the help of Communists and others this fact has been swept under the carpet and blame thrown onto occupying German forces, regardless of the fact that Nedic’s pro-Nazi puppet government assisted heavily in bringing Serbian Jews into camps for extermination. Is self determination if you don’t allowed other same right in this instance the Republic of Srpska Krajna. How the Serbs of Republic Srpska Krajna can be aggressors on their land in their houses. Is that freedom when Croats and Croatia burned Serbs houses and destroy Republic Srpska Krajna and displace 500 000 million people. It is very strange how humanitarian worker define freedom and self determination I guess self determination in your opinion is take the freedom of others . So wasn’t enough the genocide from Jasenovac to Prebilovce in 2 world war on the Republic of Srpska Krajna and its people. I guess the Serbs of Republic Srpska Krajna they are the Indians of Europe they don’t deserve freedom and self-determination tanks for the double standards. Danko, all are and were free to live in the same sovereign country the problem with Croatian Serbs was that they did not recognise the sovereignty and borders of Republic of Croatia while the rest of the world did. Croatian Serbs wanted to steal territory from Croatia that is why they occupied parts of it just as they did in Bosnia and Herzegovina. What do you think what would happen in France, Germany, UK etc if places or areas that a certain ethnic majority and that ethnic majority wanted to occupy those areas and wanted to annexe those areas from sovereign territory of France, Germany etc? Well they would not succeed. Just because Serbs in a big percentage moved from Serbia to live on Croatian territory hundreds of years ago does not give them the right to annexe that territory from Croatian sovereign territory. Anyone who does not wish to live on Croatian territory is free to go elsewhere and anyone who wishes to live on Croatian territory must respect its constitution. Such is a requirement of all countries including Serbia. Despite of Serbia having 40 so called “cases” against Croatia/Croats fact is that Croatia did NOT attack Serbia in 1990-s and Croatia did NOT attack Serbia in 1940s. In both cases Serbian chetnicks were mass murdering, among the others, Croats, west of river Drina, to keep a dream of Great Serbia alive. Croatia does NOT claim any part of Serbia to be Croat territory. In that same period Croatia got 50% smaller while Serbia got Vojvodina and half of Bosnia and Herzegovina as an award for starting 4 wars in 1990s, for killing around million people throughout 20th century and for being a cause for millions of non-Serbs to leave their homelands. The lawsuits should not be withdrawn and Serbia should be encouraged to pursue it’s own lawsuit, too. Why? Because this gives Croatia the rare opportunity to finally dismiss all the exaggerations, misinformation, falsified information, propaganda and lies about Croatia; its history, culture and the nature of the relationship with Serbia. 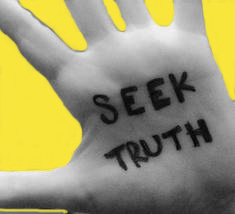 It can finally get the truth out and its story validated and authenticated. If the Serbs want to go back to WWII, great because then if Croatia is smart it will have the opportunity to provide context of the Croatian experience in light of Greater Serbia ideology – political murders and terror sanctioned by the Serb monarchy/government and the threat to it’s nationhood. It will help set the record straight on Croatia’s internal dynamics during the war as you pointed out and shed light on Serbia’s role in the war. We could view these lawsuits as ‘truth’ commissions. Does Croatia have a chance? I mean the Bosnians also tried to get Serbia charged with genocide and they had a much larger argument, in Srebrenica alone, more civilians were killed there than the entire Croat civilian dead count in the war. And the court found Serbia not guilty, so how will Croatia stand a chance? Oh and if Serbia is insistent on pressing genocide cases for ww2 then surely Croatia should do the same thing for the Chetnik massacres against Croats and Bosnian Croats to create a Greater Serbia, at least 50,000 of whom were killed. And then there is Bleiburg when at least 20-30,000 Croat civilians were killed there. Ivica Juric – I find your logic quite disturbing actually. Justice for specific cases is not comparable to other specific case, each has its own weight. Certainly these issues are decided by courts not people in the streets giving opinions and comparing cases, if one were to follow your reasoning no crime would go on trial because each would be compared to some other. Serbia has already indicated that it will bring on WWII crimes, I wrote about that in a post here last year, it’s not news, they think the same as you. The two crimes are not associated at all and need to be treated separately. What you and Serbia are doing is pure intimidation… forget it! Let each crime take its own punishment if proven… ah yes there is also a rumour that Serbia needs to answer for its WWII crimes against Jews, and others. I have absolutely nothing against anyone lodging lawsuits for crimes – crimes must be punished. And yes, Croatia does have a huge case from its nineties war and aggression against it.